Publishers today don’t take enough risks and are too beholden to sales departments, according to book industry veteran Richard Marek. Marek is the man credited with shaping the career of Robert Ludlum and being involved in the inception of Ludlum’s most famous character, Jason Bourne. As the eponymous fifth outing in the highly successful Jason Bourne film franchise goes to cinemas this week in many parts of the world, we spoke with Marek and others who were there at the beginning. There’s a restaurant in Manhattan popular with publishers in the late 1970s that should have a plaque saying “Jason Bourne was hatched here.” It was at this restaurant—he can’t remember its name now—that Marek says he met with the author and his eponymous agent Henry Morrison to raise a difficult subject. Marek at the time was running his own imprint at Putnam. 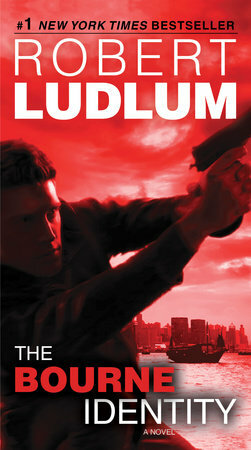 He’d worked with Ludlum (who died in 2001) on a number of his pre-Bourne titles. 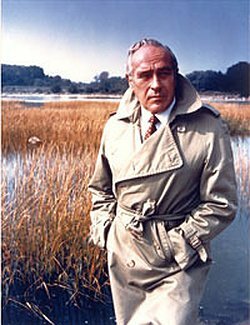 “Henry and I decided that Bob [Ludlum] was following the same formula in his books which was, you know, schmuck goes to hell and somebody innocent gets caught in a conspiracy which is way beyond him. That’s true of The Scarlatti Inheritance, The Osterman Weekend, The Rhinemann Exchange and so on. “And so we had lunch with him and said you’ve got to change this. One could call Marek, who is 83, and Morrison, who is 80, the ‘Bourne elders’, people who were there from Day One and have either steered the Bourne franchise ever since, or watched its progress from the sidelines. The phrase “Bourne Elders” might fit into the series of books as a title. 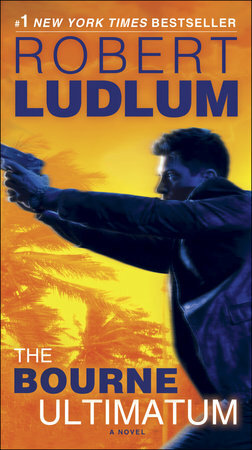 We’ve had The Bourne Identity, The Bourne Supremacy, The Bourne Ultimatum—those form the original holy trinity from Ludlum. They’ve been followed by The Bourne Legacy, The Bourne Betrayal, The Bourne Sanction, The Bourne Deception, The Bourne Objective, The Bourne Dominion, The Bourne Imperative, The Bourne Retribution and The Bourne Ascendancy, right up to the latest, The Bourne Enigma. Those all come from the pen of Eric van Lustbader, who has made Bourne his own. The craft of extending an established brand or “writing as” someone else has no name. Some people call these writers the “continuators.” Van Lustbader is by no means the only writer doing this, but he’s one of the longest running. “It’s a very interesting phenomenon,” says Jonathan Lloyd, Chairman of of Curtis Brown in London and Ludlum’s publisher when he ran Granada’s paperback imprint Grafton back in the 1980s. “There’s a lot of luck in choosing the right collaborator or continuer,” Lloyd says. “I’ve had some experience with that because I represent Anthony Horowitz who has done a brilliant job in writing both Sherlock Holmes and, latterly, James Bond. He was sort of parallel with van Lustbader in the sense that Horowitz had grown up with Bond and Bond novels—it was part of his psyche and he could almost become Ian Fleming, which of course he did with Trigor Mortis. Lloyd says he has fond memories of the whole era—times when the upfront orders could match the size of the paperbacks. He also remembers grueling but enjoyable visits to Ludlum at his home in Connecticut. Henry Morrison began representing Ludlum in the late 1960s. 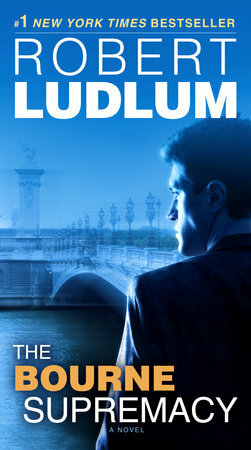 His son-in-law Danny Baror at Baror International handles foreign rights for the Ludlum estate today, in association with Henry Morrison Inc.
Morrison says he believes that Bourne endures because he taps into something we all fear. “It goes back to the fact that Bourne in The Bourne Identity faces something that most of us do not wish to face,” Morrison says. “You discover your past life was dark and possibly illegal and possibly evil. And the more you search to find some better you, you find that you’re only worse than you had discovered earlier. “It struck a very sympathetic chord with readers, led to much word-of-mouth, and then a long line of fan mail that went on for years, particularly after the paperback edition came out. Bourne endures because he’s you and me, placed in a situation that you and I could never handle successfully. On literary “continuing,” Marek says he believes the “new” writer “must suspend their own voice.” He says that all those years ago he had no idea that Bourne would become a global franchise. Can a bad writer become a great novelist? “Yes, they can,” he says. 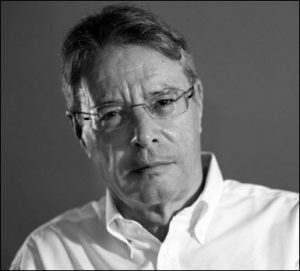 Marek’s long career in publishing began at Macmillan in 1962 and saw him hold a number of high-profile roles—Editor-in-Chief at Dial Press, his own imprints at Putnam and St Martin’s Press—where he acquired Thomas Harris’ Silence of the Lambs—President and Publisher of EP Dutton and eventually Editor-at-Large for Crown within Random House. How does he feel about publishing today, compared to the ’70s? “Oh I think it’s gone way downhill. And I suppose anybody my age would think that. But it has. The search for new, interesting vibrant voices seems to me to have narrowed. Publishers have always been interested in bestsellers—it’s nonsense to think they haven’t been—but I used to use as a kind of mantra that I was looking for something I hadn’t seen before, and I think that’s no longer true of publishers. “I think that business has taken the lead over art. The original publishers—Max Schuster, Richard Simon, Nelson Doubleday, Alfred Knopf, the great, old publishers—had the wonderful sense of knowing both what was commercial and what was good, and they published that. “Right now, the people who own publishing houses—and I’ve been away a long time—are businessmen. And they don’t care at all about the quality of the book. “I don’t think publishers are experimental anymore,” Marek says. “I used to be able to buy books, when I had some experience and the power under me, that were interesting to me. And now you have to go through a sales department. But you could argue that, from the standpoint of a writer, it’s a fantastic time because there are so many avenues and outlets. Writers don’t need a publisher-gatekeeper to say ‘yay’ or ‘nay.’ You can just put it out there…but you’re going to have a hell of a time selling it. Today, Marek belongs to the Independent Editors Group, an affiliation of New York City freelance editors, book doctors and ghostwriters” who work with writers, editors, publishers and agents in trade publishing. Like many of us, he’s looking forward to seeing the new film, he says. 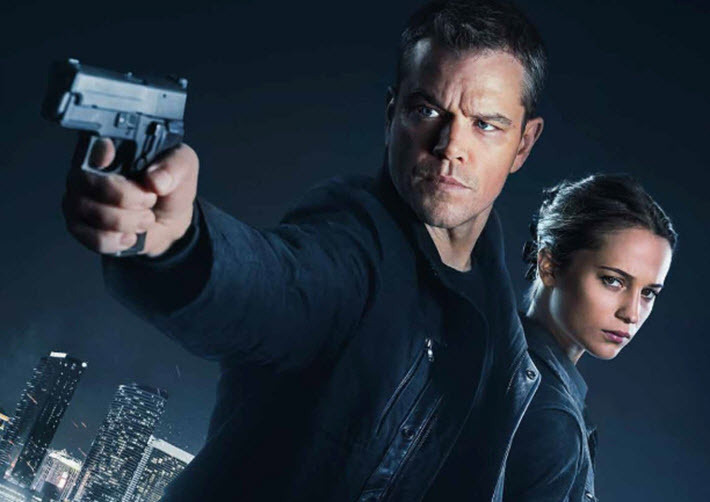 More on the extension of the Bourne franchise with author Eric van Lustbader.